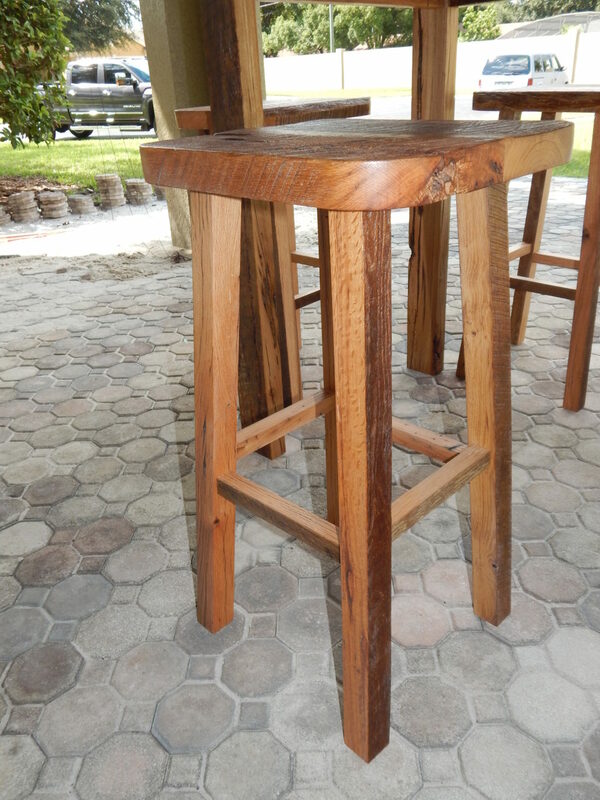 Carla contacted us to have a custom Reclaimed Lumber Bar Height Table with Matching Stools built for her home in Coral Gables, FL. 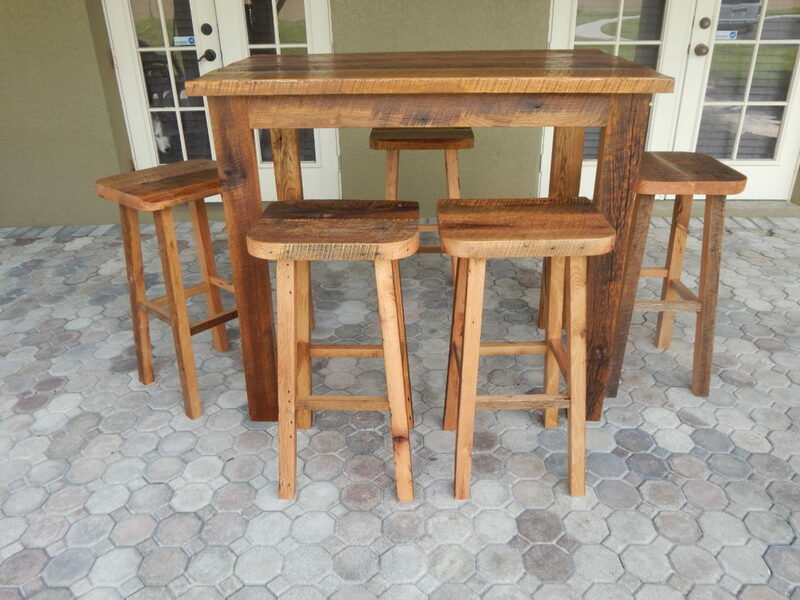 She wanted something unique and a bar height table. 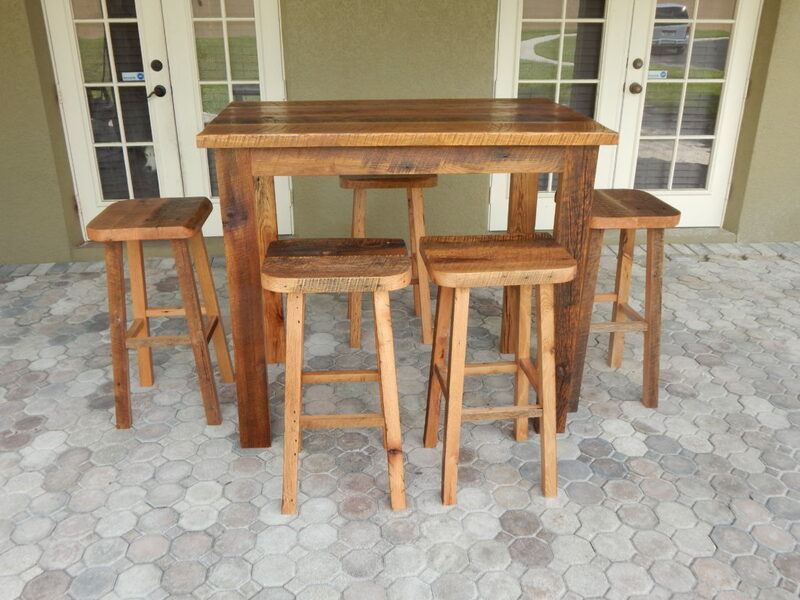 She didn’t have a lot of room to work with so she wanted some matching bar stools. 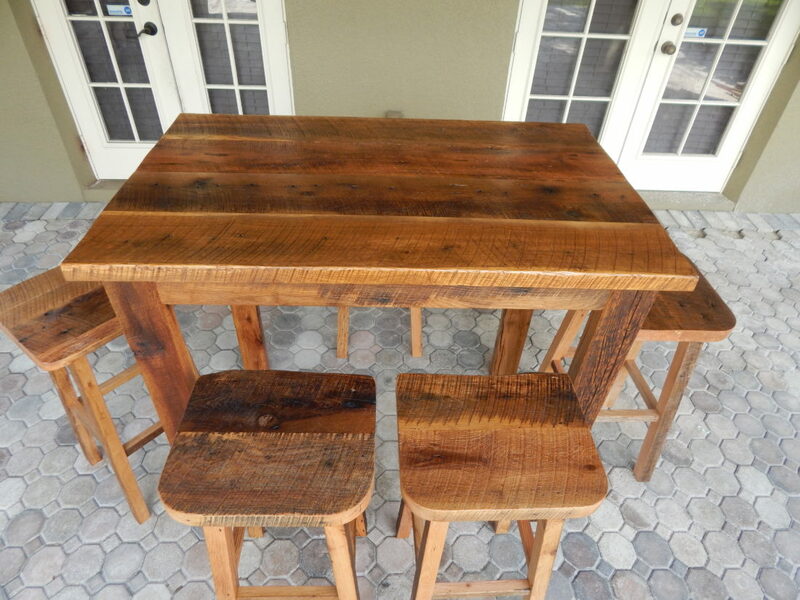 We went to work and along came this beautiful dining set. 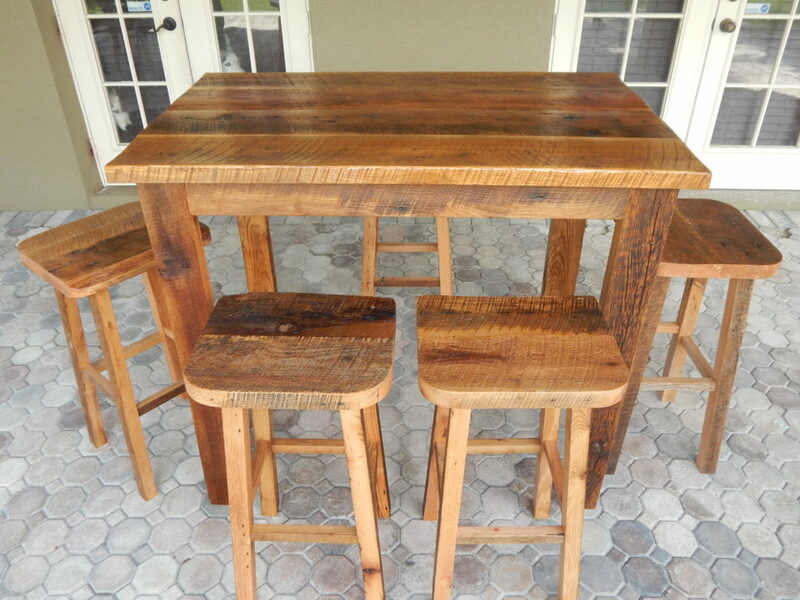 It is made from reclaimed barn wood that is over 150 years old. 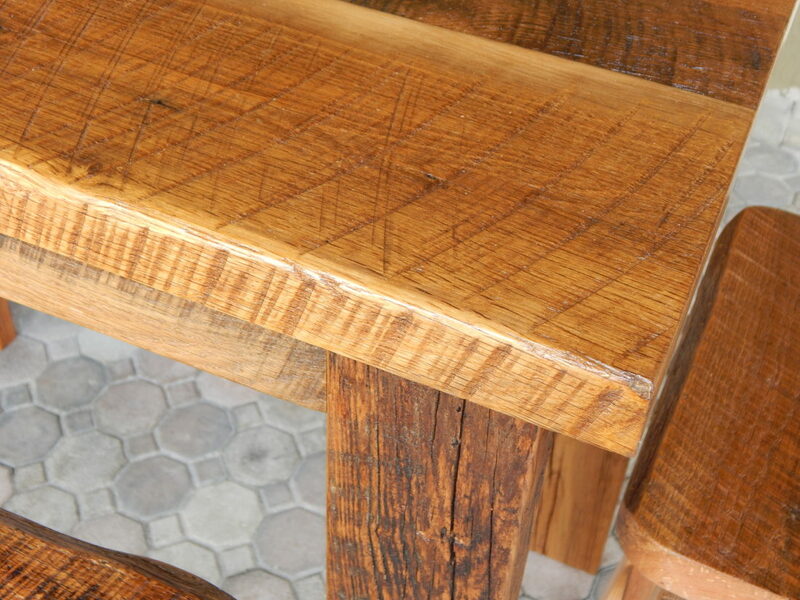 It is very rich in character and will last her and her family a lifetime!